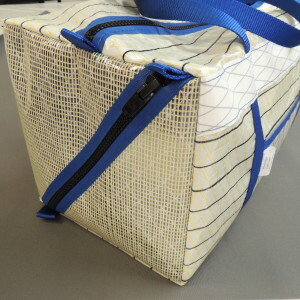 What sailor wouldn't love to own and use this rugged and good-looking duffel. 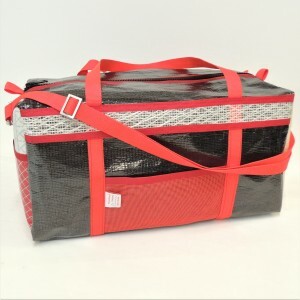 Made of high tech sailcloth used for racing sails, the fabric is lightweight yet strong, laminated with Kevlar, Mylar, carbon fiber and/or polyester. Features 2 outside pockets, roomy interior with a separate zippered compartment for wet gear or laundry. 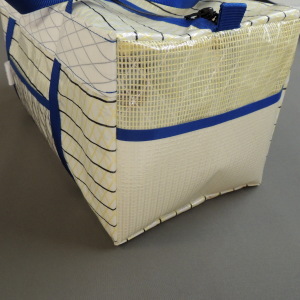 Webbing straps encircle the bag for extra strength. Detachable shoulder strap. Strong marine zippers. 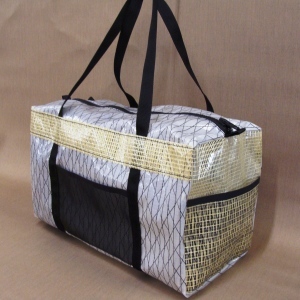 Each bag is a one-of-a-kind creation, made in the USA in our canvas shop, Mainland Canvas!